Here we go again, with our monthly selection of natural wines in offer as usual! After one of the longest winters we can remember, Spring is finally here and nothing is better to celebrate the good weather than some healthy and tasty or – why not? – sparkling wines: perfect to sip while having a moment of relax, as a gift to someone special or to share with friends at a nice picnic. Now, let’s see this month’s wines selection and find out about two incredible stories of passion and love for the nature. Are you a Sangiovese fan? This natural wine is the perfect choice for you: this Brunello di Montalcino can boast an excellent Sangiovese grape variety coming from organic agriculture. Produced in the Casa Raia Farm in Montalcino, Tuscany, Brunello comes from a long and loving production process, where the grapes are treated in the most natural way, gently accompanied in all the steps to become this delicious wine. No pesticides or herbicides are used in the whole farm to keep the production process as natural as possible. An incredible, deep red wine coming from the province of Florence: Vinum Rosso comes from the Pugnitello grape variety organically grown in the Gualandi farm. This wine is obtained throught a long and attentive process starting with the natural treatment of the soil and the hand harvesting of the grapes and ending with an 8 months ageing in chestnut barrels. Only 500 bottles of Vinum Rosso are produced per year: don’t miss this true jewel if you love full bodied wines. If you want to try these and other amazing natural wines, don’t forget our weekly offers! 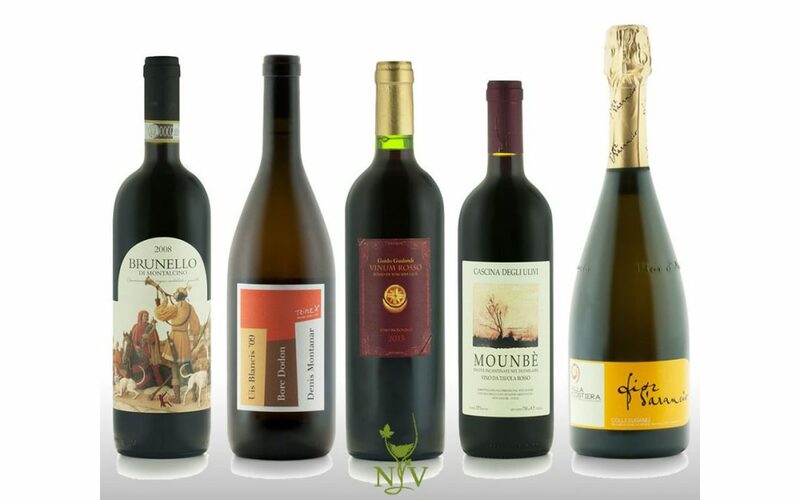 On our official Facebook page you will find a selection of Natural Wines of the Week to purchase with a nice discount, don’t forget to follow us to never miss one!